I would give it a five except the recent update has made it buggy on my iPad 1. Sometimes it won't load the new issue or crashes while trying to do so, but the content and user interface is great! 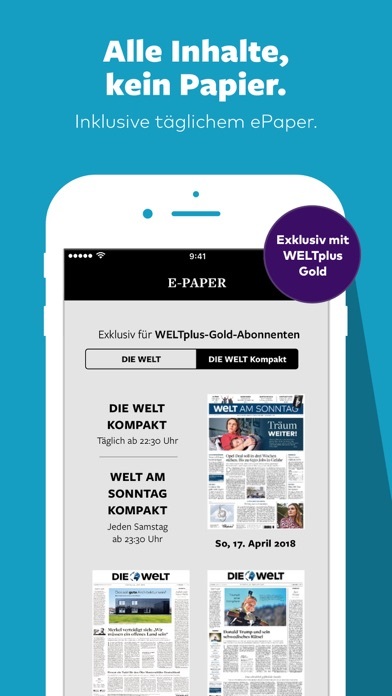 Wir lieben das "Die Welt HD" app! Wie lesen es jeden Tag! 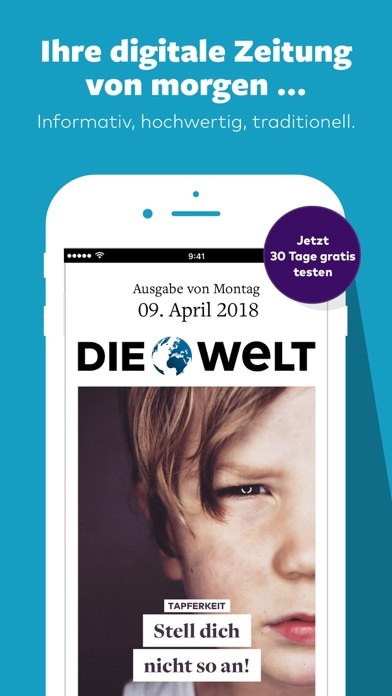 We love the "Die Welt HD" app! We read it every day! Nachdem sich das Inhalt geladen wird funktioniert alles in der Regel gut und intuitiv. Nur dauert es viel zu lange bis das Inhalt lädt, bzw. bis sich das App benutzen lässt. Schön wäre es, wenn man schon beim runterladen auch Inhalt anschauen könnte oder ältere Ausgaben lesen könnte bis die neueste Version geladen wird. Die ideale Nachrichtenquelle fuer unterwegs - und ueberhaupt! Die ideale Nachrichtenquelle fuer unterwegs - und ueberhaupt. The app is clear and simple to use. Best feature is full off-line reading. Ads in a paid app are annoying but they are kept fairly small, so I still give this app 4 stars. Great try, unfortunately not ready for prime time. Only the Audi ad appears to run without problems. Diese App braucht eine wirklich gute WiFi-Verbindung! Am besten sitzt man direkt neben dem Router! Das Laden der Zeitung und der Aufbau der einzelnen Seiten dauert viel zu lange. Auch lassen sich manchmal einzelne Seiten partout nicht öffnen. Mir wären weniger Bilder und Gimmicks und dafür eine bessere Funktionalität lieber! One of the best newspaper apps I found. 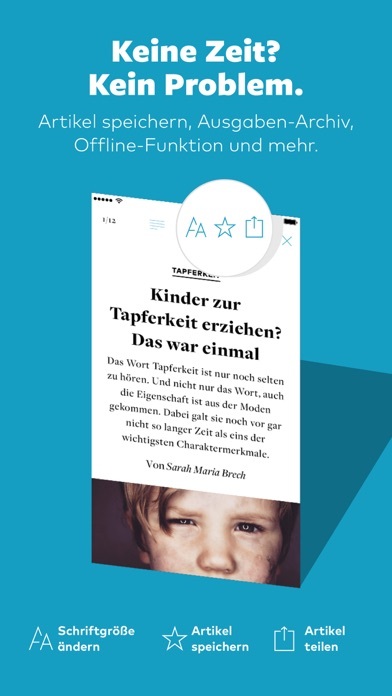 It is a real app and not a PDF sort of app like Spiegel. Great job! Very unstable. I have not been able to read a single article. 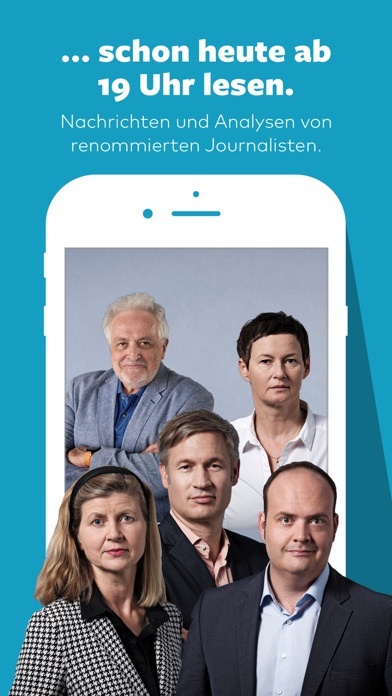 In jeder Beziehung ist diese App scheußlich und schlecht zu benutzen. Ich will die alte App zurück. Very frequently when I try to open an article, it blocks me with a page for opening a new subscription. But I have one already through iTunes. The blocking screen allows input of an ID and password, but these are unrelated to iTunes Credentials, so I stayed blocked. I miss about 10% of my subscription days waiting for my complaint to Die Welt to be addressed. Apple denies any responsibility and refers the user to Die Welt. If Apple is going to put a publication in its Newsstand, it should give the paying subscribers what they paid for. Referring complaints to the newspaper is all wrong. Bad job by Apple as well as by Die Welt. ... this version is very stable and so far I didn't encounter any crashes so far. Now it's a very nice app. I bought the app and a 2 yr subscription but neither me nor their customer support can get it to work. So the IT ticket is now open for a full week without their IT guys even responding. Poorest service. Sehr anschaulich und immer top aktuell ! Relativ schwach gelöst, selbst ePaper-Lösungen wie die Presse finde ich da besser. Schade, aber immerhin gibt es eine Breitschaft, auf neue Entwicklungen zuzugehen (shame on you, sueddeutsche und faz!). Endlich eine deutsche Zeitung! Super umgesetzt: schoenes Layout, Navigation intuitiv, mehr Bilderauswahl als die "dead tree" Variante, statt die Seite zoomen zu muessen, kann man die Textgroesse veraendern. Ein Paar page breaks erscheinen als br_br_ aber ich denke mal, das wird sich ab der naechsten Ausgabe erledigt haben? Danke!! 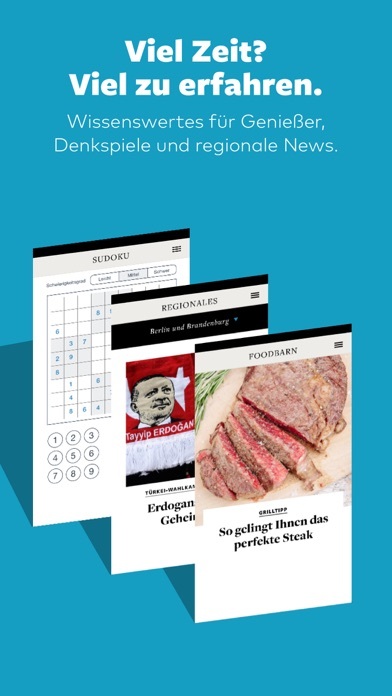 Outstanding newspaper presented in outstanding app. And it continues to improve! Very happy with Der Welt HD. Very convenient to use, always up to date in terms of the news. Especially great for people who study German, just like myself.